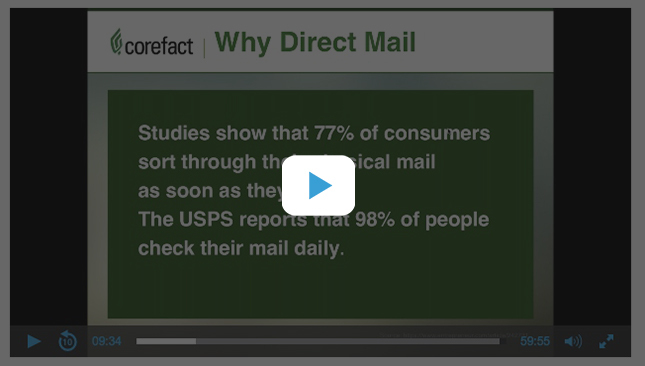 The direct mail advantage and Corefact services. Account navigation and lead tracking made easy. Corefact pieces that will work the hardest for you and a catalog of available marketing options. New Corefact products that will make you look like a marketing rockstar.